Thank you if you already commented on the OASIS redesign mock-up. 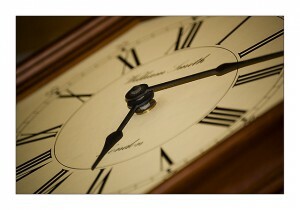 If you have not yet had the chance to, there are a few days left. 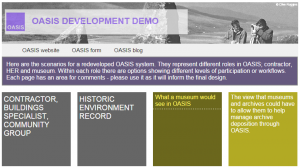 We would really appreciate all historic environment professionals and volunteers commenting on the mock-up of how the new system might look, even if you don’t currently use the OASIS system, as this will give us the best guidance on how to redevelop it for the future. The mock up is available on the OASIS website. Commenting on the mock-up will give you a real opportunity to influence the redevelopment of OASIS. 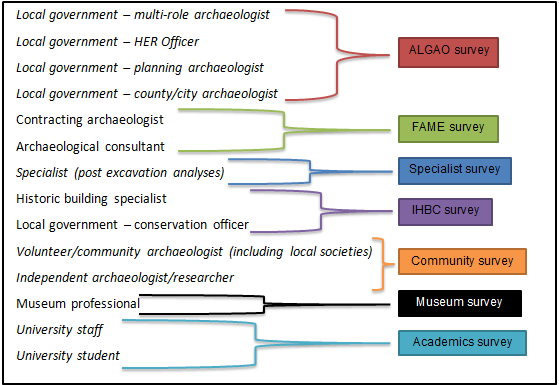 The Archaeology Data Service, as part of the HERALD project, has been commissioned by English Heritage to undertake this user needs consultation to help define and shape the future of the OASIS system (http://oasis.ac.uk). I have to confess that the London HER has not really engaged that much with OASIS; there has always been something else to do rather than validate new records, and as a result we’ve left this in the capable hands of Mark Barrett (thanks to Mark for his hard work) and tried to get on with dealing with our report backlog, and the hundreds of data requests we get each year. A couple of things this year, however, have made me think that we should really take the time to properly record OASIS records in our HER database (by this I mean the OASIS references). As I said, we get an awful lot of data requests each year, and we’ve been looking at how we can improve our service to our customers. One idea we had would be to supply pdf reports along with our standard database, and GIS data, as we had our entire report library scanned a couple of years ago. One obvious problem with this is copyright, and so we have been working with our legal team to draw up a copyright agreement we can send out to organisations who have deposited reports with us over the years. Now given the number of reports we hold, just over 12,000, this is going to take a long time, so is unlikely to happen very soon. At this point I can imagine someone, Jo, or some people, Jo and Catherine, shouting, ‘What about the ADS grey literature library? You could link to that!’ Well we had thought about it, and linking to units who have their reports online, but we’d have to do this individually, and we don’t have the resources to do that. Then, back in June, Catherine gave a talk to the ALGAO-HER Steering Committee during which she mentioned DOIs (Digital Object Identifiers). These are a rather neat way of referencing information such as reports on the ADS website (for more about DOIs have a look at their website www.doi.org, or have a word with Jo and Catherine). After a quick chat with Jo, she was able to send me a spreadsheet (thanks to Jo for getting me the data) of all the reports the ADS holds for London, giving the title, unit, NGR, project code, OASIS reference, the DOI, and importantly for us, the site code (this is the code for the project given, in our case, by the London Archaeological Archive Resource Centre). As we record the site code in our HER database, we use HBSMR, it meant that I could then link the ADS records to our ‘Source’ and ‘Event’ Records. Now our Source records have the ADS DOI link, our Event Records have OASIS reference numbers, and project codes, and both are linked from the database to the ADS grey literature library. I should at this point confess that I still had to do some manual checking; not all of the ADS records had site codes, and some had duplicate site codes so I did have to check back through the HER. Also I’m trying to figure out how to get the DOI to show up in our data search html reports so that users can click and view reports, so this has all taken a bit longer than I had initially thought, but it has been worth doing. We are now nearly up to date with linking to our OASIS records, and so shortly will able to provide a better customer service. Also, the ADS spreadsheet threw up a number of reports that, for some reason, we never received, so improving our data, and the list of reports that we’ll still need to get copyright permission, as they are not on the ADS website, is much smaller. So, would I recommend others doing this? Well yes. If you do record the OASIS references in your HER, or you assign site code numbers, then it would be a fairly straight forward thing to do, but even if you don’t, then it would be worthwhile, as you could compare ADS reports, by running a spatial GIS query. So why not contact Jo, and giving it a go!